True Position Manufacturing Inc. is an ISO 9001:2015 certified manufacturing and fabrication company that provides value-added metal products, services and solutions with superior quality, flawless delivery and competitive prices. We are proud to be a Service-Disabled Veteran-Owned Small Business (SDVOSB). As a Lean Six Sigma manufacturing practitioner, we work every day to achieve new, better methods of operating in the most cost-effective way to provide greater value to our customers. Established in 2015, True Position Manufacturing is the result of a friendship between David Stires and Russell Williamson. The relationship developed into one of mutual respect and a mutual drive for achieving the perfect production system. 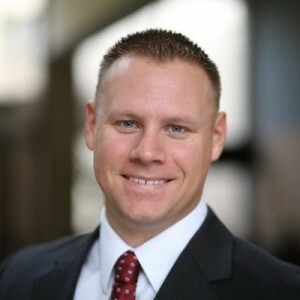 David Stires is president and co-founder of TPM. Previously, he was operations manager of Olympic Steel’s Iowa Division. Before that, he served eight years active duty in the United States Army, which included three overseas tours. A Chicago-area native, David holds a B.S. in Economics with a concentration in Civil Engineering from the United States Military Academy in West Point, N.Y. He and his wife Kristin have one son, Henry, a dog, Emerson, and a cat, Einstein. David enjoys spending time with his family outdoors and golfing. Russell Williamson is vice president and co-founder of TPM. Previously, he was the process and production engineer at Olympic Steel’s Iowa Division. 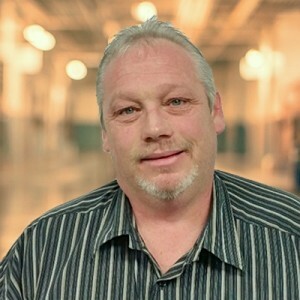 Originally from eastern Iowa, Russ started his career as a machine operator and has more than 25 years experience in manufacturing leadership roles, including plant manager for JBL, process engineer of Olsen Engineering in Eldridge, Iowa, and Toyota Production System and quality manager at Uniparts in Visakhapatnam, India. He and his wife Theresa have two daughters, Laura and Kimberly. Russ enjoys hunting, fishing, racing and raising cattle. Our core values form the foundation of all our business practices. to our families, employees, customers and communities. to do what is right when no one else is looking. to treat others as we treat ourselves. to prevent and protect ourselves and others from harm. to live by our core values at all times. to be honest and truthful in all matters. to provide a quality product on time every time. True Position Manufacturing is proud to be an ISO 9001:2015 certified company. We are committed to always providing a quality product on-time (OTD), exceeding customer expectations (quality PPM) and continual improvement.